ROSIE is a story about Rosie Concepción, an intelligent, likeable East L.A. diner waitress whose hobby is getting dressed up and pretending she’s a typical Beverly Hills patron of Rodeo Drive boutiques. When Rosie has a chance encounter with Lindsey, a desperate shop owner’s daughter who’s been left to run her mother’s boutique for a season, she somehow ends up as the shop’s fashion buyer. Rosie tries juggling both the waitressing job and the buying job, keeping each world ignorant of the other. But throw in a love interest, a nosy neighbor and a godfather boss, and Rosie’s plate-spinning act becomes nearly impossible. Will Rosie be able to pull off this new life without hurting her friends and family in the old one? From screenplay writer of the Oscar winning film, BLACK SWAN, comes COMPANY MAN (formerly titled SI LOM ROAD) by John J. McLaughlin; WOLVES OF WALL STREET meets DELIVERANCE and the HANGOVER. 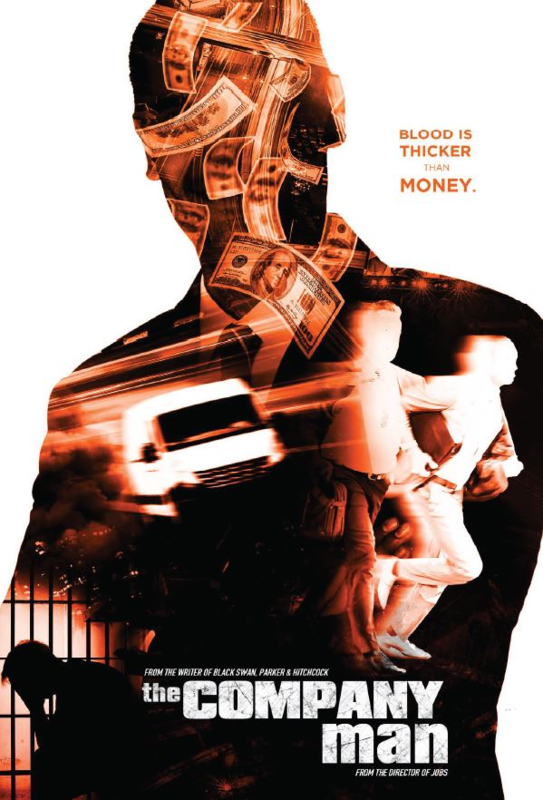 COMPANY MAN is a suspense / thriller feature film about three friends living in New York City, junior players on Wall Street who go to Bangkok for some fun, so they thought…. They are only recently starting to live large, enjoying high six figure bonuses, wearing Armani suits, Ferragamo shoes and Patek Philippe watches. All with Ivy league graduate degrees in finance, third year brokers, simply looking to experience life at its fullest. A guys’ boondoggle weekend turns deadly and will change their lives forever.